Baseball, a return to smoking in sports stadiums, and Fuente Nicaragua… they’re all in this edition of Random Thoughts from the Humidor. We’ve written before about the pairing of cigars and baseball. While there are plenty of reasons why the combination works, it comes down to pace. The leisurely pace of hardball is also the pace of cigars. The 20 to 30 seconds between pitches is the minimum amount of time you want to put your cigar down between draws; the minute or two between half-innings or a pitching change is the opportune moment to refresh your drink, use the facilities, or light a new cigar. Sadly, if you want to watch baseball while smoking a cigar, these days your options are pretty much whittled down to your home or a cigar lounge. A long, long time ago (in 2006), StogieGuys.com proposed a cigar night at the decrepit RFK stadium. Why let most of the upper deck go completely empty, when you could host cigar smokers there, at least for a game? We were rebuffed and (I’m just saying) the Nationals have yet to win a playoff series since. To this day, when I see scores of empty seats in a stadium I can’t help but wonder, “Why not host a cigar night?” For example, watching my Mets play the Miami Marlins, I noticed the entire upper deck was not just empty but closed. So why not announce that anytime the roof is open at the park a section of the upper deck will be open for cigar smokers? If any town can pull this off, Miami, with its rich cigar culture, can. Unreal no comments yet on Fuente Nica? Wow, I can’t wait. Fuente Nicaragua? 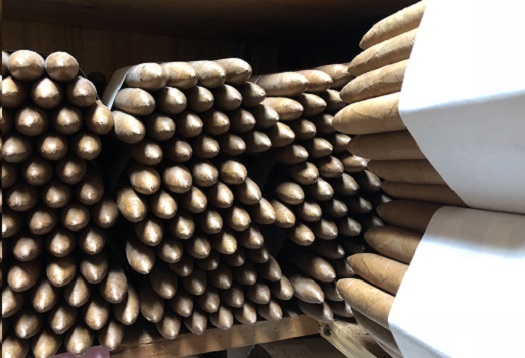 This seems almost unfair to the rest of the cigar making world, but good for us. Baseball and cigars is a perfect match, but you are correct about where we can watch a game. Ain’t no going back. I can remember sitting in old Comiskey Park and the smell of a cigar would travel through the stands. Wonderful!